Bennett may not be the best school in the world - but it's theirs. And Barny, Spag and Clipper certainly don't want to get sent off to snobby King's Road School instead. 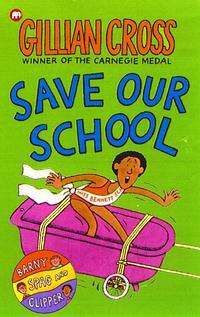 So when Bennett School is threatened with demolition, the three friends draw up a plan of campaign to save it. But everything they do seems to go disastrously and hilariously wrong . . .